With improved fuel efficiency, better performance, innovation, and quality you can count on, Honda continues to offer remarkable vehicles without the excessive price tag. Drawing inspiration from real world needs of the consumers and delivering impressive results, Honda has continued to improve its Honda Sensing features as well as come up with some clever ways to increase cargo area, legroom, and all around experience for their vehicles. 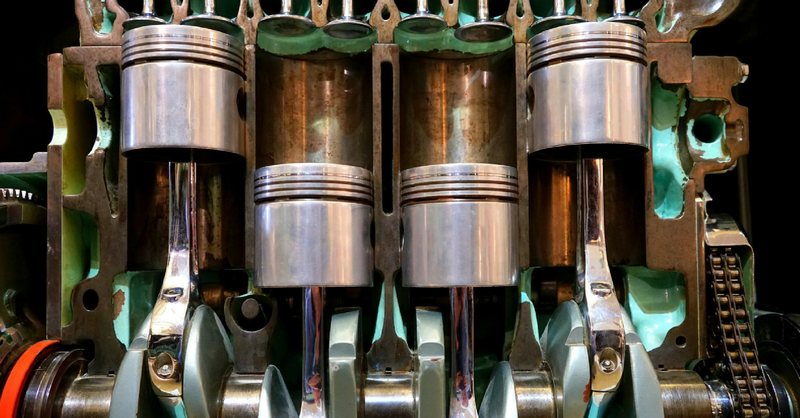 It is what we come to expect from a company that was founded by a mechanic who would teach himself how to engineer quality products and build one of the largest companies in the industry. 2017 is an exciting year for Honda. Let’s take a look at what’s new and in store for Honda in 2017. Quick, quiet, and roomy. The all-new 2017 Honda Accord Hybrid gets just under 50 mpg at a price that includes an impressive list of standard safety features. Collision Mitigation Braking System, Road Departure Mitigation System, Multi-Angle Rearview Camera, Lane Keeping Assist System, and Adaptive Cruise Control are just a few of the standard features. Also included is Honda Lane Watch, a live video feed that displays on the center console’s touch screen so you know what you have approaching in the lane next to you. The cabin has quality materials throughout, and to add to the roomy interior is a standard 10-way adjustable power driver seat and dual-zone automatic Climate Control system. 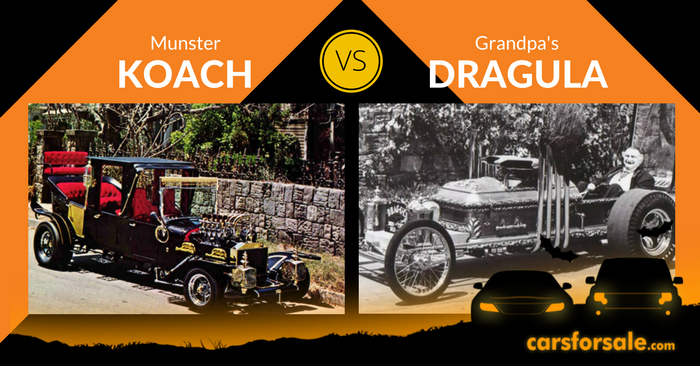 You can go a long way in comfort on one tank of gas. 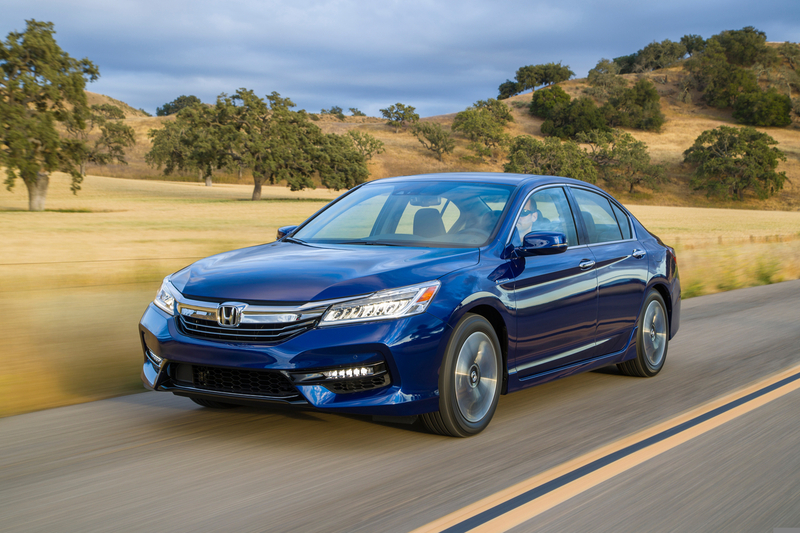 Exterior styling, while not new for the Accord sedan and coupe, is new for the hybrid. The fascia and rear-end have been updated, and the wheels revised. It looks sporty with hints of class, while not trying too hard. 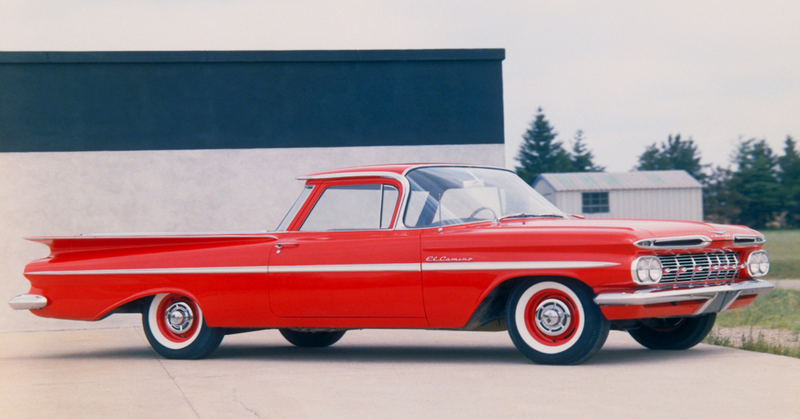 After the model year hiatus, we can say the wait has been worth it. 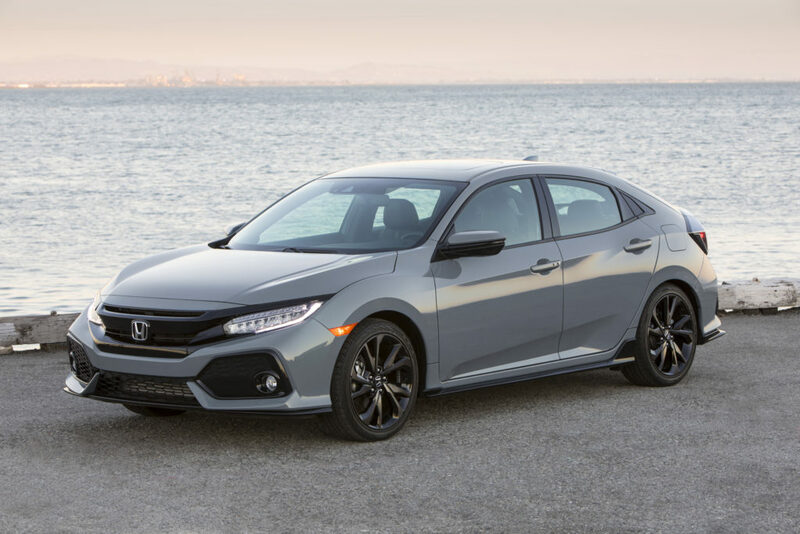 While the 2017 Honda Civic Coupe and Sedan return with no significant changes over last year’s highly anticipated and acclaimed Tenth Generation redesign, the 2017 Honda Civic Hatchback makes its debut. 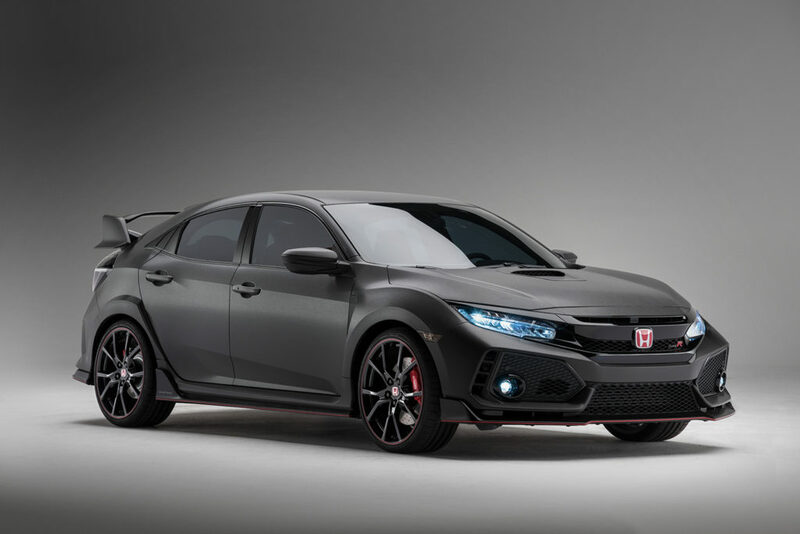 An affordable variant that fits nicely in the middle by means of performance that the Civic family is offering this year, the Hatchback has a nice increase in power over the coupe and sedan, with up-to 180 horsepower from the Sport and Sport Touring trims. And, with manual transmissions becoming less available these days, the new 6-speed is a fun option for those who prefer a clutch. Attractive features available to the Civic include Lane Keeping Assist, Adaptive Cruise Control, Collision Mitigation Braking System, Road Departure Mitigation, and Honda Lane Watch. Apple Car Play, Android Auto, and Pandora sound great through the available 540-Watt Premium Audio package. 60/40 split fold-down rear seats provide plenty of space for cargo, with plenty of room for you and your friends. It’s been a few years, but the Honda Ridgeline returns fully revised and redesigned to improve bed room, horsepower, and efficiency. If you are a fan of Honda’s SUV line, you’ll probably love the new and improved 2017 Ridgeline. Unibody construction with a large cab and a lot of second row leg room, the Ridgeline looks more like a truck than its previous incarnations, yet even more closely resembles a tougher looking Honda Pilot with a truck bed. However, it handles like a car and rides like one, too. Honda, we see what you did there. The 3.5 L V6 produces 280 hp and is paired with a 6-speed automatic transmission, improving by 30 horses over two years ago, with both AWD and FWD now available. 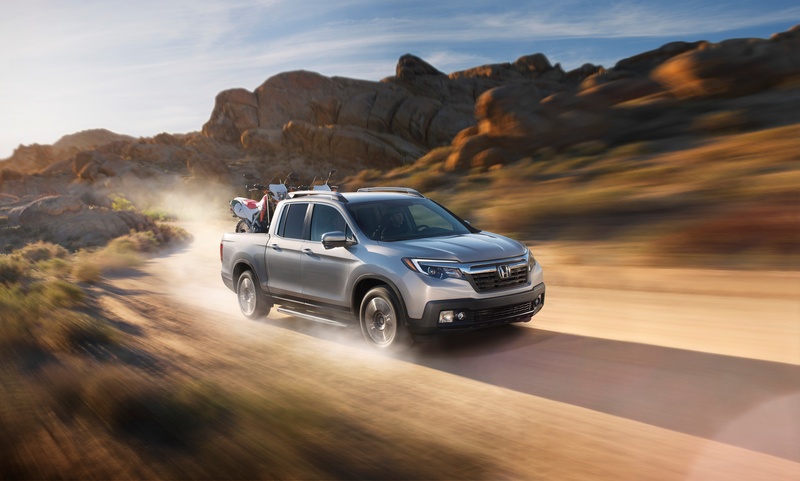 The Ridgeline has a towing capacity of 5,000 lbs for the AWD option and produces 262 lb-ft of torque. It’s not a beast by conventional means, but can get the job done. By design, the Ridgeline has a lower ground clearance, which may or may not be a benefit depending on whether you enjoy off-roading or are needing an easier reach for loading cargo. You’ll fall in love the in-bed trunk with drain plug and dual action tailgate, allowing you to open down or to the side. The Multi-Angle Rearview Camera comes standard, making backing up to hitch a trailer and parking easier with a 4.2-inch LCD screen. The Ridgeline also earned Top Safety Pick+ ratings from the IIHS. Honda touts the 2017 Honda Civic Si as the fastest Si yet. It features a 1.5L turbocharged four-cylinder with a six-speed manual transmission, upgraded brakes, limited slip differential, and adaptive suspension. Unveiled prior to the 2016 Los Angeles Auto show with a lot of buzz and excitement, it looks to be an economical daily driver that is loaded with all of the base model’s features but with more pep than the Hatchback to settle in just under the Type-R in terms of performance. Built on the proportions of the Civic Hatchback, the Type R is sculpted with aggressive angles and aerodynamic smarts. 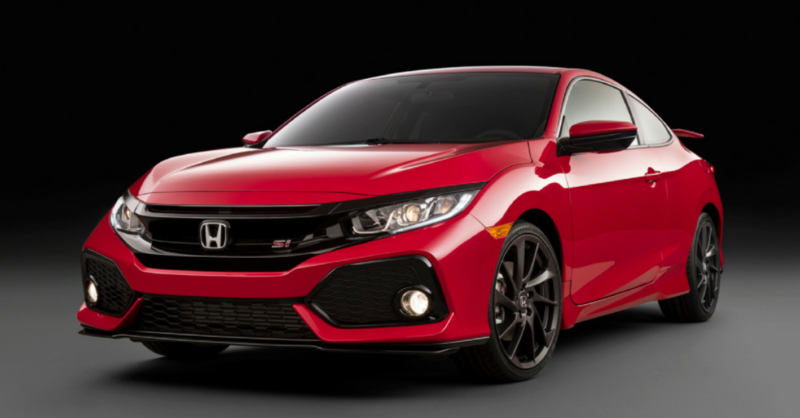 The Type R is Honda’s highest performing Civic, never before available in North America. If the rumors are true, we could be looking at a 2.0 L turbocharged 4-Cylinder pumping 340 hp. When looking at the prototype, you cannot help but want to jump in and stomp on the gas. The rear wing may as well be a fin – it looks like a shark. 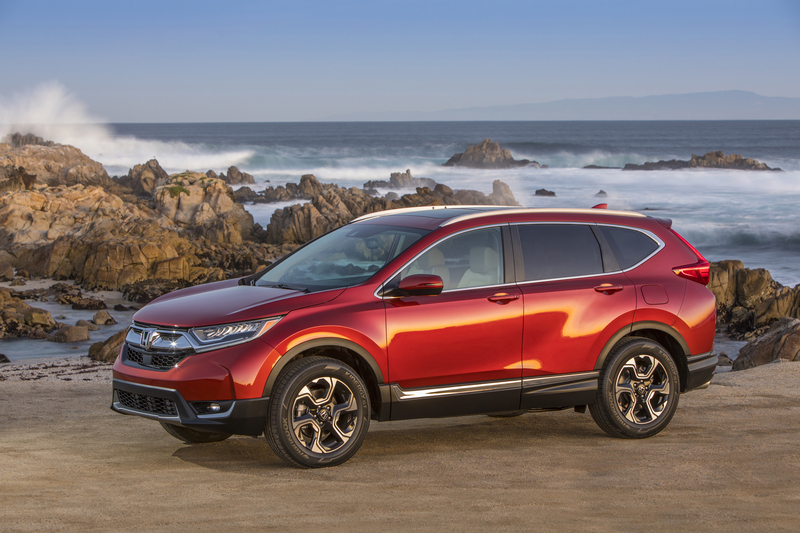 Honda’s all-new Fifth Generation CR-V is fresh for 2017. Honda calls the new design “bold and sophisticated” and it is, but what we love is the aggressive fascia. Honda introduces the Active Shutter Grille to lower aerodynamic drag, sharp headlights, and bringing up the rear is dual exhausts. Another Honda first is the Hands-Free Access Power Tailgate. The CR-V gets its first turbocharged engine, making it more fuel efficient and powerful than previous years. 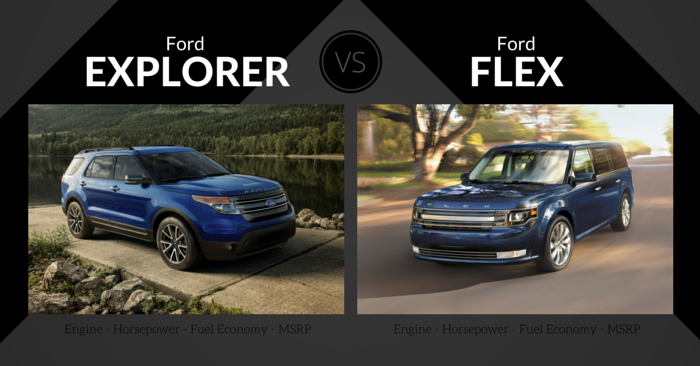 The 1.5 L DOHC, direct-injected in-line 4-cylinder is rated 190 hp. Honda touts the CR-V as having the highest EPA fuel economy ratings in its class, with estimated 27 City / 33 Highway mpg. Safety and driver assist technology include Lane Keeping Assist, Adaptive Cruise Control with Low-Speed Follow, Collision Mitigation Braking System, and Road Departure Mitigation. The interior is spacious with ample leg room (almost two full inches more than before) and storage area. Honda once again upgraded materials throughout the cabin, and even included rear USB charging ports. Seating has been upgraded for a more comfortable ride, and Apple CarPlay and Android Auto is included in the infotainment system on a 7-inch touchscreen. Californians, you’ll have the opportunity to drive a five passenger, zero emission sedan that can travel up-to 366 miles before refueling (68 mpg equivalent). The Hydrogen-powered 2017 Clarity Fuel Cell will be available to a handful of dealerships in California, the only state with Hydrogen refueling infrastructure, with lease pricing at $369 per month and mileage allowance of 20,000 per year. The vehicle itself closely resembles the FCV and FCVE concepts, particularly in the styling of fascia, and comes with Honda’s Sensing features that Collision Mitigation Braking System, Road Departure Mitigation, Lane Keeping Assist System, and Adaptive Cruise Control. 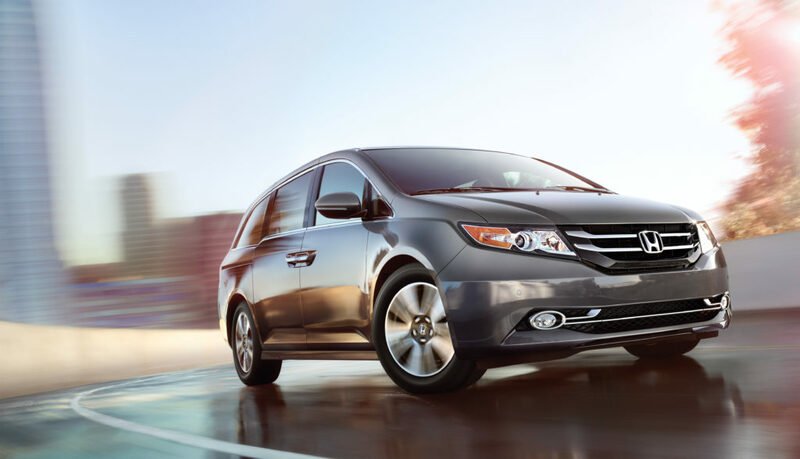 While it may be a little strange to be excited about a minivan, the 2018 Honda Odyssey should be something we can get excited about. Details have been few and far in-between, but from the looks of things, it will have all new exterior and interior treatments. 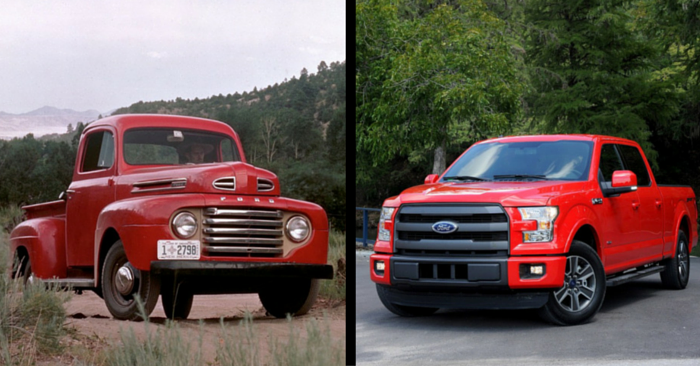 We can probably expect better performance and more improved fuel economy, and hopefully the vacuum will make its return. And who knows what other innovations that Honda will include? 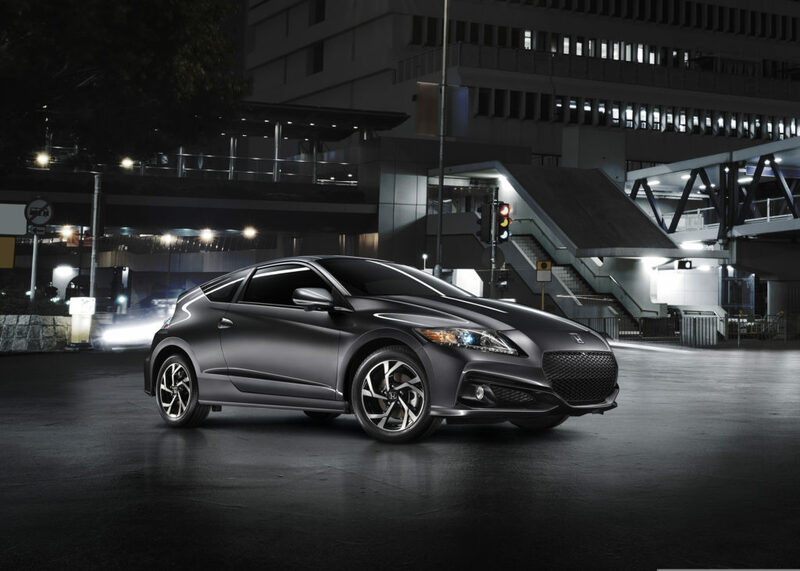 After six years, the Honda CR-Z Hybrid has ended its run. Which 2017 Honda model are you most excited about? Let us know in the comments!